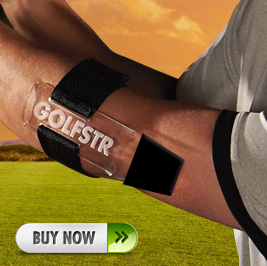 Golf is a game that we all love to play or you would not be reading this article. Golf is a challenge that we all enjoy because we have the mental and physical power within us to master our own minds to play a wonderful round of golf every time we play. We know this because we have all pared or birdied many holes in our lives. If we can do this on one hole why can’t we do it on every hole? That’s the challenge and that’s why we love this game. It really is a mental game so don’t forget your brain when you go golfing. Every time we start a round of golf, we start with a different physical body condition and a new set of historic memories. Our physical activities and memories in the previous 24 hours, will impact the way our bodies and minds react for every new round of golf. That’s why you may often hear your golfing friends wonder out loud: “I wonder who’s going to show up today.” Or after an amazing first drive they say: “Who is that guy.” Exercise or lack of exercise, mishits on the range or no range preparation and problems with your family or at the office are all baggage that you carry to the first tee. 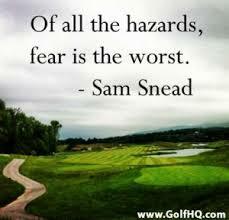 Sam Snead was so right. Get positive and make the shot. 1. Calm and Relaxed: User words like “Calm and Relaxed” to prepare your mind for the perfect swing cadence as you line up your shot. 2. Tense arms and wrists will only kill your shots: A relaxed mind and body are the only way to make a perfect golf shot. Use your setup time to drop your tight shoulders, focus on the shot that you want, take a deep breath & exhale and swing with a 2:1 cadence (with a backswing which is twice as long as your downswing). 4. Play Your Game: Remember that this is only a game between yourself and the course. Performance by others in your foursome can be impressive but you need to setup for the shot that you know that you have completed perfectly in the past. Make it YOUR shot. 5. Consistent Swing Tempo: It’s the only way to keep your shots consistently under control. Swinging with one speed for all of your longer clubs will allow you to keep your arms stretched to the same length at the point of impact. So true! Keeping concentration can be hard in a round of golf, especially on the back 9!